Instagram is increasingly becoming the place to be for brands. In the beauty space especially, brands of all sizes have embraced the platform as an effective tool for creatively demonstrating their products and building close connections with consumers. The platform is well suited for these brands, boasting 200 million beauty fans, which accounts for 25 percent of users. 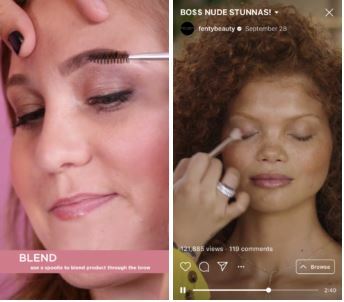 But as Instagram Stories grows, and with the launch of the platform’s IGTV video hub, many beauty brands are widening their efforts on Instagram and focusing less on the feed. Here’s how category leaders and startup brands in the beauty space are using Instagram. Since its launch earlier this year, beauty brands like Benefit Cosmetics have quickly embraced IGTV as a prime channel for how-to videos. Fenty, for example, hosts weekly “get the look” tutorials from Rihanna’s personal makeup artist Priscilla Ono (and often with Rihanna herself). How-to videos are an ideal use of IGTV for beauty brands. Showing how to properly use their products lowers the barrier to purchase and creates a bond with consumers by adding real value. This offers a more “personal” feel that beauty brands can capitalize on in the experience of “teaching” their followers the best ways to effectively try or buy their products. 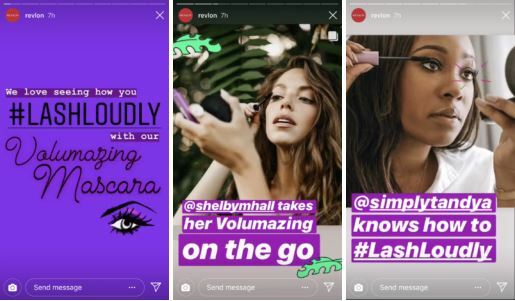 Beauty brands have wrapped their arms around Instagram Stories as a prime place for sharing information about their products. 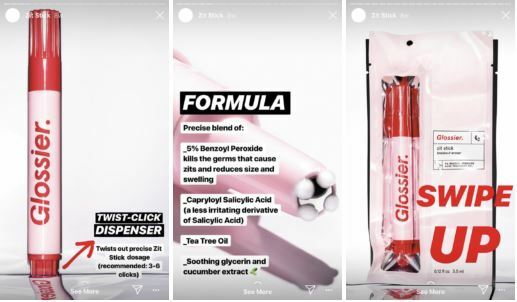 Glossier, for example, has taken to the medium for product launches, introducing new products to followers and breaking down its key features and facts. L’Oreal makes an effort to provide knowledge about its products by demonstrating various looks on its models, often adding a link and CTA to let consumers easily purchase the item online. And over on IGTV, of Benefit’s most viewed videos is an eyebrow shade matcher that promoted its Brow collection of products—a video that has received nearly 41,000 views. 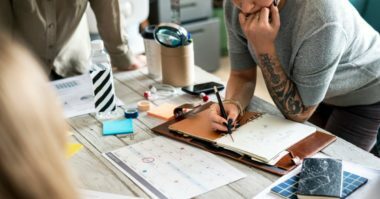 Creating Stories and videos that are informative and provides valuable information will reel in your followers to become more loyal to your brand. The more information you give, the more value you’re providing. When it comes to beauty, every detail matters. 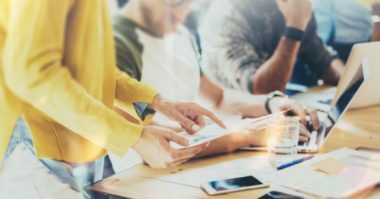 Now imagine implementing every detail about one of your products into an Instagram Story. Learning can be turned into something that’s fun within the right context. 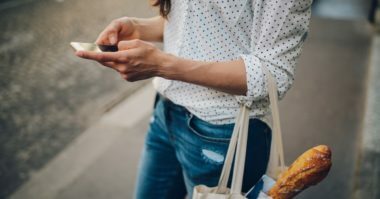 Instagram provides plenty of creative ways to tell a story and provide details that create value for both the brand the consumer. One of the best ways beauty brands can promote their products is by showing real customers using them. Instagram Stories provides the perfect place to showcase user generated content. Revlon is one beauty brand that frequently features customers using its products. 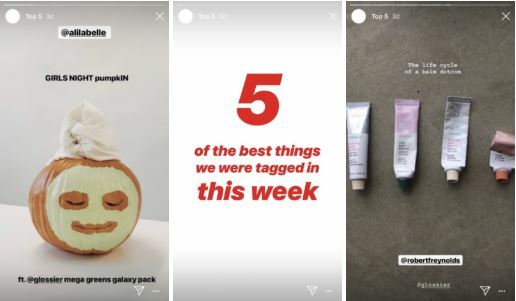 Glossier puts its customers front and center too with its “ Top 5” Instagram Stories series—pinned in its Highlights—which shares content that the brand was tagged in that week. Shoutouts like these not only encourage user tagging but also showcase products in an authentic way. If beauty brands have brand advocates posting about their products on Instagram, putting them in the spotlight in their Stories goes a long way toward creating human connections, boosting credibility, and pushing their products with ringing endorsements from real people.